NEW YORK -- Ground zero has become a rebuilt World Trade Center, a place forever marked but greatly changed since Sept. 11, 2001. The nation around it is different, too. But victims' relatives and others will convene Sunday on the memorial plaza for one of the constants in how America remembers 9/11 after 15 years - the anniversary ceremony itself. Organizers have planned some additional music and readings to mark the milestone year. But they are keeping close to what are now traditions: moments of silence and tolling bells, an apolitical atmosphere and the hours-long reading of the names of the dead. "This idea of physical transformation is so real here," Sept. 11 memorial President Joe Daniels said. But on this Sept. 11 itself, "bringing the focus back to why we did all this - which is to honor those that were lost - is something very intentional." 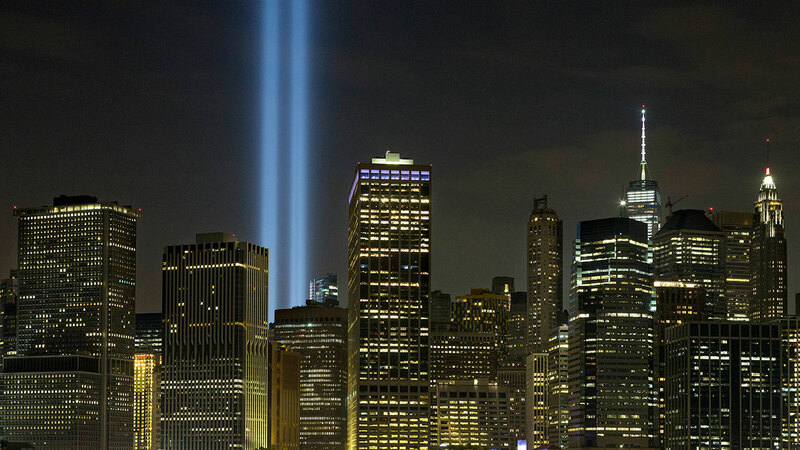 The simple, reverential observance may be the norm now, but city officials fielded about 4,500 suggestions - including a Broadway parade honoring rescue workers and a one-minute blackout of all of Manhattan - while planning the first ceremony in 2002. Nearly 3,000 people died when hijacked planes slammed into the World Trade Center, the Pentagon and a field near Shanksville, Pennsylvania, on Sept. 11, 2001. It was the deadliest terror attack on American soil. The 15th anniversary arrives in a country caught up in a combustible political campaign and keenly focused on political, economic and social fissures. But the nation tries to put partisan politics on hold on the anniversary. Democratic presidential candidate Hillary Clinton and Republican rival Donald Trump plan to attend the anniversary ceremony at the World Trade Center. Neither candidate is expected to make public remarks. Politicians may attend, but haven't been allowed to read names or deliver remarks since 2011. Clinton and Trump are following a custom of halting television ads that day. President Barack Obama will speak at an observance at the Pentagon. Hundreds of people also are expected at a ceremony at the Flight 93 National Memorial in Shanksville. Financial and other hurdles delayed the redevelopment of the Trade Center site early on, but now the 9/11 museum, three of four currently planned skyscrapers, an architecturally adventuresome transportation hub and shopping concourse and other features stand at the site. A design for a long-stalled, $250 million performing arts center was unveiled Thursday. Around the Trade Center, lower Manhattan now has dozens of new hotels and eateries, 60,000 more residents and ever-more visitors than before 9/11. Meanwhile, the crowd has thinned somewhat at the anniversary ceremony in recent years, although over 1,000 survivors, recovery workers, victims' relatives and dignitaries attended last year. But there's been no sustained talk of curtailing the ceremony. Organizers evaluate every year whether to make changes, Daniels said, "and every time the answer, thus far, has been it's so special for family members, and it's important for the nation."